This has been a dark year for our country, and for the world. We provide a platform for dynamic advocates to fuel social change, leading the way for a just, fair, and decent society. What does this mean? Well, for one thing, it means that we are gearing up to launch up to five new Projects in 2019, each focusing on an underserved community in danger. 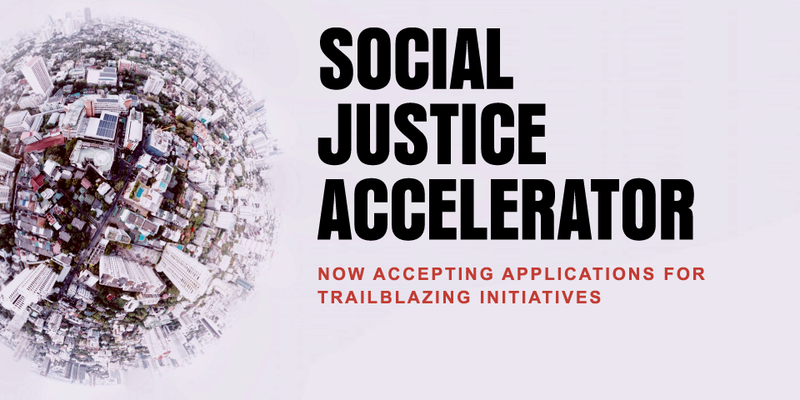 Through our new Social Justice Accelerator, we’re inviting the next generation of change makers and thought leaders to become part of the Urban Justice Center. We’re also helping some of the Projects we’ve nurtured throughout the years spin off and become full-fledged organizations of their own. Although they will no longer be under our roof, we know that the Community Development Project and the International Refugee Assistance Project will continue to do incredible work, and we are excited to stand beside them in doing it. In the face of impending fascism, justice is just us – the community of those who will step up and resist. We’re so glad to have you on our side. Thank you for your support yesterday, today, and most crucially, tomorrow. In 1989, 17-year-old Heath Phillips was a fresh-faced Naval recruit, eager to serve his country. Once on his assigned ship, however, he was sexually and physically assaulted by a group of six other sailors. Despite repeated reports to his superiors, Heath was given no support or chance to transfer. After 48 days of unending assault, he escaped – only to be arrested, returned, and assaulted again. Four more times, Heath ran away only to be returned to his attackers. Heath went AWOL one final time, beginning nearly two decades of alcohol abuse and PTSD, with no support from Veterans Affairs. After nearly ending his life, Heath got sober. 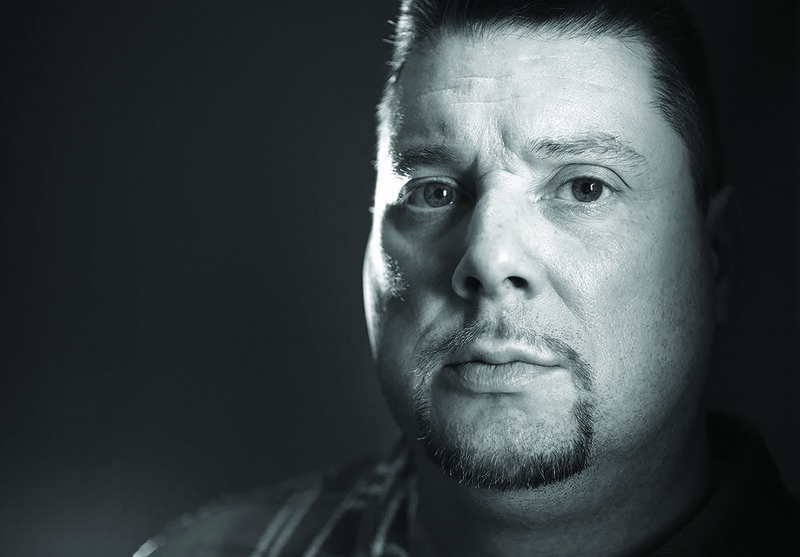 Unlike many survivors of sexual violence, he began to tell his story publicly. Advocating for survivors became his mission. Three times he applied to have his discharge status upgraded, so he could access the life-saving services he desperately needed; three times, the Navy denied him. That’s when Heath became a client of our Veteran Advocacy Project, who worked with him for years on a fourth application, and finally convinced the Navy that he deserved an honorable discharge. Thanks to Heath’s persistence (and the assistance of our lawyers and advocates), justice was finally served. 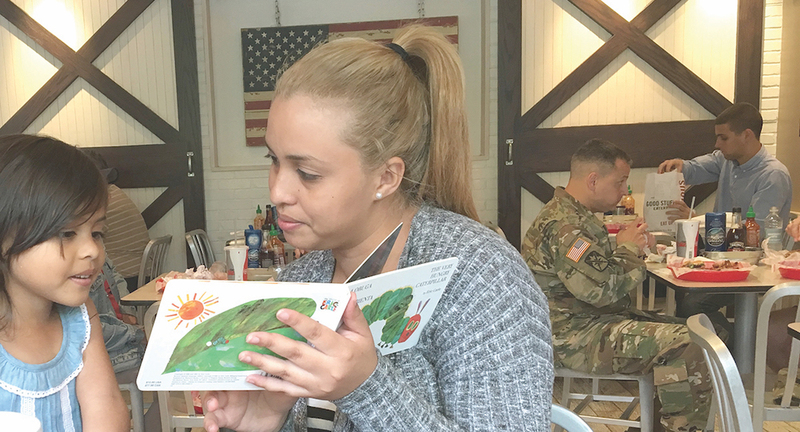 Long before the Trump administration began their cruel policy of separating asylum-seeking children from their parents, our Asylum Seeker Advocacy Project (ASAP) was providing representation to families in some of the most ignored areas in the country. Without representation, according to one study, asylum seekers win their cases less than 3% of the time. ASAP knew that many Americans want to help immigrants fleeing danger, so based on their experience, they developed a guide: “Vindicating the Rights of Asylum Seekers at the Border and Beyond: A Guide to Representing Asylum Seekers in Expedited Removal and Reinstatement of Removal Proceedings.” This guide is yet another way in which ASAP is strengthening the country-wide community of progressive advocates, while protecting marginalized immigrants at the same time. By empowering asylum seekers and their supporters, ASAP is building a powerful coalition to resist the Trump administration’s attacks on vulnerable families. For years, prisoners in New York City have been charged exorbitant fees to make phone calls, creating millions of dollars in profit not just for prison telecom companies, but also for our city government, which raked in over $5,000,000 annually on the backs of imprisoned people and their communities. To those in jail, these calls are a literal lifeline; to our government, they are an easy way to turn a quick buck. Or at least they were until earlier this year, when our Corrections Accountability Project (CAP) – in concert with a coalition of concerned organizations – helped to pass critical legislation mandating that all calls from city jails be free, and prohibiting the city from profiting off them. Now New York City is the only jurisdiction in the nation to ban this cruel form of prison exploitation. This will save low-income communities of color in New York nearly $10,000,000 a year, but the true measure of success is knowing that imprisoned people will no longer be isolated from their loved ones and their only means of support, simply because they can’t afford the price of a phone call. THROUGH OUR WORK, WE ENABLE PEOPLE TO SURPASS THE BARRIERS OF POVERTY. 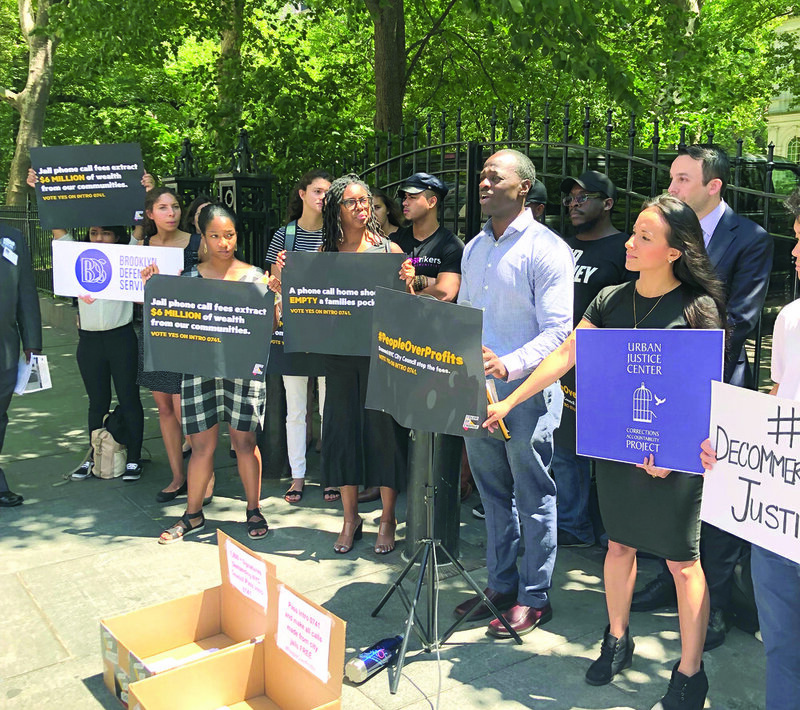 The Urban Justice Center is an advocacy organization that works for and empowers NYC's most vulnerable residents through a combination of direct legal service, systemic advocacy, community education, and political organizing. The David Tepper Charitable Foundation, Inc. The Jacob And Hilda Blaustein Foundation Inc.
Fairfield County Community Foundation Inc. Hunger Solutions Of New York, Inc. The Aber D. Unger Foundation Inc.
Weil Gotshal & Manges Foundation, Inc.
Peter A. And Elizabeth S.Cohn Foundation Inc.